How to Seal a Deck. Wooden decks can warp, crack and discolor due to prolonged exposure to extreme temperatures, moisture and sunlight. Proper care of decks includes periodic cleaning and sealing, both of which will prolong a deck's life and enhance the wood's appearance. Follow these steps to properly seal a deck. Conduct a water test to determine if your deck needs sealing. Sprinkle a few drops of water on the deck and watch what happens. If the wood absorbs the water, it's time to seal your deck. If the water beads, you can wait. Clean the deck thoroughly and allow it to dry for 2 full days before sealing. Purchase deck cleaner at a home improvement store and apply according to manufacturer's instructions. If your deck is brand new, apply wood treatment that will make the deck more resistant to damage caused by exposure to the elements. Choose between water- and oil-based deck sealers. Both resist water and mildew, but oil-based sealants generally last longer. Decide whether you prefer clear, tinted, semi-transparent or solid stain deck sealant. Clear sealers repel water, provide little UV protection and last for about 2 years. Tinted sealers can restore wood to its natural color and provide good UV protection. Semi-transparent sealers last for 3 to 4 years and stain wood while allowing wood grain to show through. Solid stains completely cover wood grain, but provide the best deck protection and last for at least 5 years. Prepare the deck for sealing. Remove all furniture, sweep up all the debris and cover any surrounding plant life with plastic. Sand rough spots, repair cracks and replace severely damaged pieces of wood. Seal the deck with an extended paint roller or an inexpensive garden sprayer. Evenly apply at least 2 thin coats of sealer. Don't let the sealer puddle. Use a small paint brush to seal hard-to-reach areas. 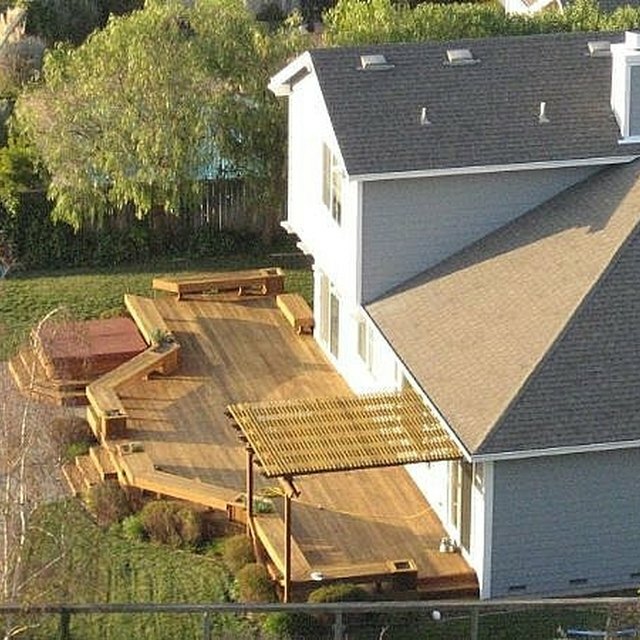 Allow the deck to dry for at least 2 full days before using. Enjoy the invigorated look of your wooden deck and reseal as often as necessary to maintain its appearance and maximize its longevity.